After crashing a second time, one arm is bent. Bought a new shell so going to replace the shell and see how that works out. What you say is almost true, and frankly - as I use drones in some professional applications - I am developing low cost solutions with high quality responses. 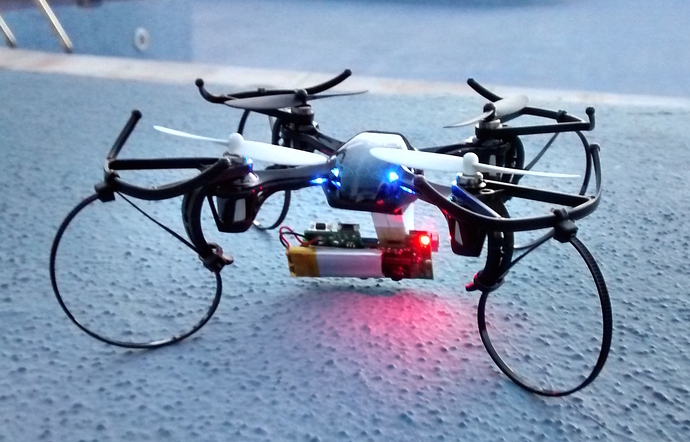 If Tindie will start a section on drones I can contribute immediately with some material, images, videos and so on. Funny enough, I finally got all of the internals out of the busted shell, into the new shell, and tested it yesterday. All good so far. I’ll try and fly the phantom next weekend and post a video. Glad to have another quadcopter fan around! I will start soon to sell it on Tindie (price will be less than 100$), I keep you informed.